A replica in icing of Eliza Poppy’s favourite sheepy. “I have had 2 cakes from Etoile now. One was a princess castle birthday cake and the second a christening cake with the cutest replica of my daughter’s cuddly sheepy on top. Both were utterly magical, they looked exquisite, tasted delicious and were such a success. I can totally recommend Holly and Etoile’s services! Holly is a local Mum and the service is so professional yet friendly. So pretty, the teddy with the butterflies… pink gorgeousness! 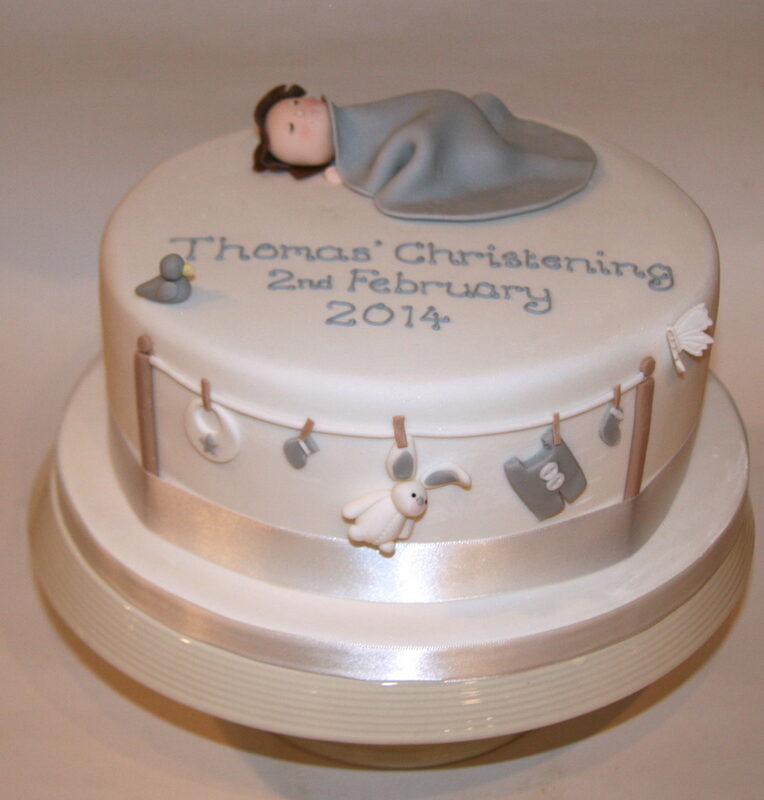 This christening cake is a gluten free chocolate cake. Designed with a jungle theme in mind around the main idea that the boy’s star sign is Leo.